Cipriano Santos is a well-known scientist at Hewlett Packard Laboratories (HP). His technical achievements earned him the Award for National Achievement of the HENAAC Association of Hispanic Engineers. Santos is widely known for his work in optimization through mathematical models. His distributed computer work is a major element of the Adapting Enterprise Program of HP, which allows companies to modify in a simple way their IT infrastructure and use HP support to aid projects. He played a key role in simplifying money transfer between Mexicans working in U.S.A. and their families back home. He also launched a program to send Latin American students to laboratories at HP’s Palo Alto Headquarters for summer internships. 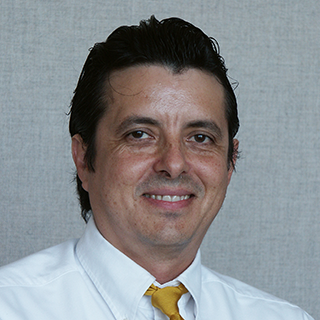 Santos has registered 17 patents and is Associate Editor of The Journal of Heuristics. He has received the Award of Excellence from the Office of the President of Mexico.